Going cruelty-free might be obvious for ethical reasons, but do you know what dirty little secrets hide behind animal cruelty? I’ve pinpointed some of the best, less-obvious reasons to ditch your cruel cosmetics and make room for animal-friendly alternatives! This is absolutely true on average. Because the ingredients used by cruelty-free brands have a proven safety record, you’re way less likely to use a product that’s going to cause you harm and negative side effects. In addition to this, many cruelty-free brands offer green products free from potentially harmful chemicals. This means that the ingredients you’re putting on your body and absorbing into your skin are all-natural, and don’t contain a gazillion chemicals you can’t pronounce and don’t know the origins of. Do you use any makeup brushes that are made from animal hair? The fact is, those brushes are harboring a ton of bacteria because of the structure of the hairs. Those hairs trap oil and dead skin and breed bacteria. They’re also harder to thoroughly clean. In other words, they’re dirty no matter how often you clean them. Makeup brushes made from synthetic hair, on the other hand, are more hygienic. They’re also easier to properly clean. If you have oily or acne-prone skin, it’s especially important to make sure that your brushes are totally clean and not aggravating any skin issues. It’s pretty cool to be able to support local businesses and independent brands! There are so many hand-made, hand-crafted, quality cosmetics companies out there! Instead of buying your soaps and shower gels mass-produced, give those indie brands a try and you might be pleasantly surprised by their pure ingredients, skin benefits, and personal touch. 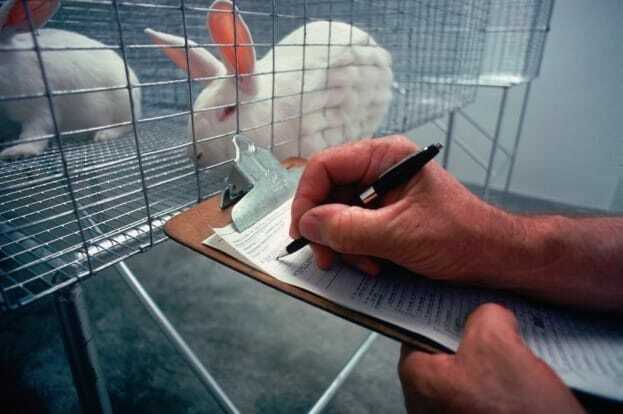 Surprisingly, companies that test on animals in the U.S, Europe, and Australia do so because they choose to. Not because they have to. Animal testing for cosmetics is not required by law in the vast majority of the world. Why do these companies test on animals, then? Because they have to prove that their products meet safety standards. But here’s the thing: there are multiple alternatives to animal testing that these companies can choose from, such as in-vitro tests (done on cells) or artificial tissue. This means that all these companies that aren’t cruelty-free only test on animals not out of necessity, but because they want to. Why support that? If you think that lab rats are the only animals being tested on, think again. Mice, guinea-pigs, bunnies, dogs, cats, and even primates are commonly used in animal tests — some of them for cosmetics testing. And if you believe that these tests are as painless as a needle prick, you’re definitely wrong. Animal tests cause pain and distress to the animals, and there’s no such thing as painless animal testing. Think of the standard irritation test which consists of dripping irritant chemicals into a bunny’s eyes, sometimes resulting in blindness. Of course it hurts! The truth is that animal testing is painful and unnecessary. By supporting brands that don’t test on animals, you’re able to encourage the companies that are making a real difference. It’s better for you and better for the animals! There’s no reason not to switch. What’s your favourite part about switching to cruelty-free cosmetics?